I love Matcha Green Tea lattes. We’ve even used matcha in our soap for a beautiful green colour. There are days when I’m on the go ie. running errands and I don’t want order a meal because it takes extra time during my day (although sometimes that’s a good thing). Or maybe I’m hiking and want to pack light nutritious snacks to just munch while I'm enjoying the great outdoors. Maybe some of you have kids and want to pack them a healthy lunch snack. Or you are running out to a fitness class and want a snack after you are finished. 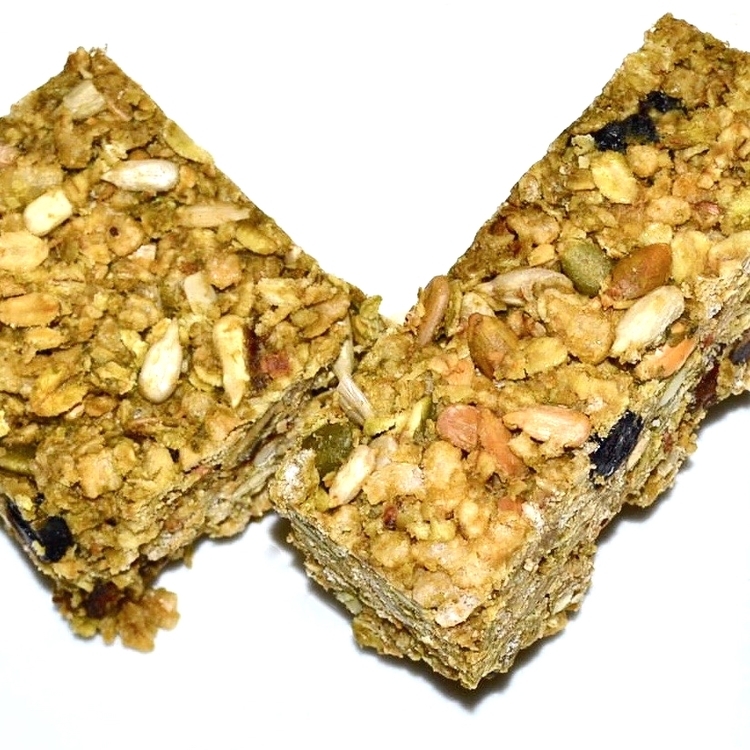 Granola bars have always been a fun treat to eat but adding Matcha Tea makes them extraspecial. Did you know that Matcha Green tea is full of antioxidants? It has the nutritional benefits of 10 cups of regular green tea. It’s rich in vitamins, chlorophyll and fiber. It can boost metabolism and help burn calories (but you have to be watching what you are eating and exercising as I know some people think they can eat whatever they want and drink Matcha Tea (if only it were that simple). We used to host International students at our house as we live near a university and one year a student from Japan brought us Matcha Green Tea and a ceremonial Japanese tea whisk with instructions. Every time I use it I think of her. 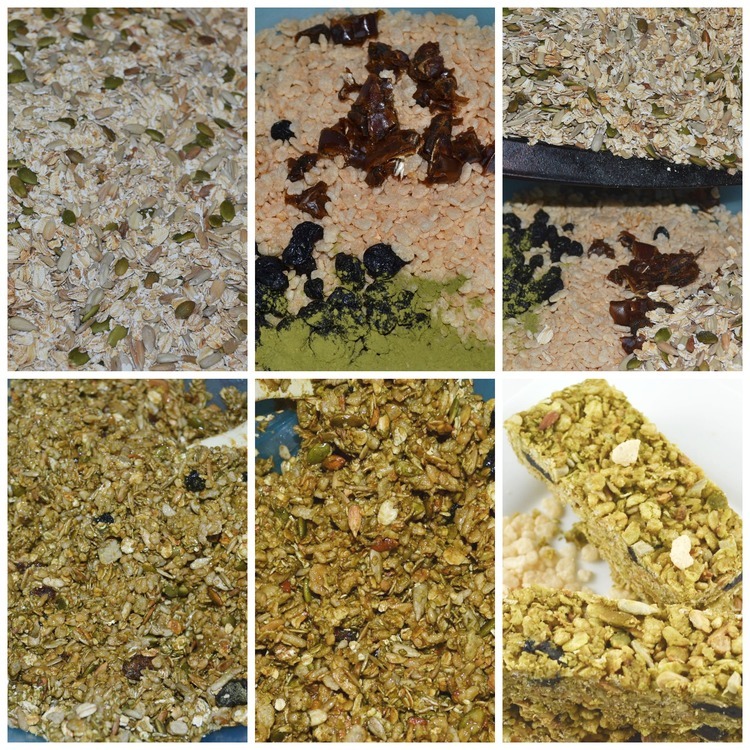 Here is the "Matcha Tea Go-Go Bars" in a handy recipe card. Click to read, then there is a little arrow type button on the bottom kinda pointing in one direction and if you click on that there is an option to download it. Tips for making this recipe. Really cut dried fruit finely or bars are harder to cut. If you leave it in the fridge too long before cutting it's crumblier. A lower bar height wise will produce a cleaner cut. Have your tried Matcha Green Tea or used it in some special way? Michelle is one of the blooms and founder of Two Blooms Design Studio Est. 2002. She is in charge of production, designing all of our labels in house, photography, customer service, alchemist behind all of our scent blends, designer, creator and pretty much whatever else needs to be done.